The Mint Museum of Toys hosts an impressive collection of 50,000 rare and antique toys from over 40 countries, with an estimated value of over S$5 million. The exhibits are arranged according to theme, progressing from Outer Space, to Comic Characters, then to Childhood Favourites and finally to Collectable Toys. The Comic Characters section contains a fascinating collection of rare Batman toys, including Commissioner Gordon’s car and a Batman Robot, while the Childhood Favourites section has a huge collection of dolls and teddy bears that is said to be one of the largest in Asia. By taking you through its impressive array of toys, the museum hopes to rekindle the memories of your own childhood – in the same way as Pixar’s Toy Story series, perhaps! The museum hopes to portray toys as more than mere playthings, to show that toys convey the culture and history of the countries in which they were made and played in. Ultimately, the museum promises to tell the story of the world in the 19th and 20th century through the unique medium of vintage toys. The Mint Toy Museum is located along Seah Street, which is between Raffles Hotel and Bras Basah Complex. It is a short walk from City Hall or Bugis MRT stations. The museum charges and admission fee of $15 per adult and $7.50 for children between 2-12 years old. Children below the age of two may enter for free. Various family promotions are also available upon request. 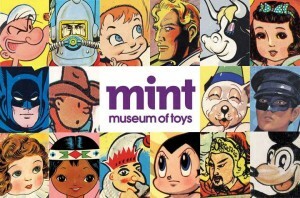 More information about the Mint Toy Museum is available on its website here: http://emint.com/.